Christ…sent me “to spread the Good News. I didn’t use intellectual arguments. That would have made the cross of Christ lose its meaning” (1 Cor. 1:17 GW). Many of us will connect with friends and family during this Christmas season. 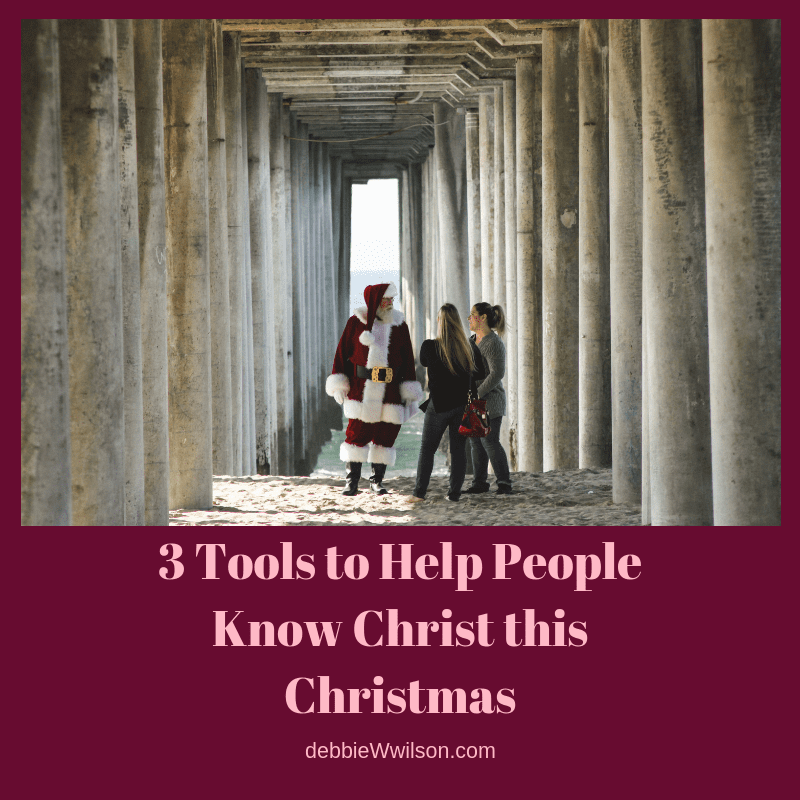 Have you wondered how you might discuss the “reason for the season” with those who may not know Jesus? God has placed eternity into the human heart. We want to know why we are here and if our lives matter. Yet problems, pleasures, and the pursuit of the urgent distract us from the inner longing to know God. The Great Exchange uses a survey to tap into that natural curiosity. It was fun talking with these students. Anyone can use the survey, or its questions, to stimulate meaningful conversations anywhere we go. Simply ask the questions one at a time and listen to the answers without judgement. The last question reads, “If you could know God personally, would you like to?” Even those who doubt God’s existence often express interest in knowing how to know Him. We read through a little tract by Bill Bright called “Would You Like to Know God Personally.” It shows what the Bible says about how to begin a relationship with God through His Son. When I presented these tools to a group, some expressed concern that people are bombarded with information and require deeper answers to their complicated questions today. They feared a simple message no longer works. And yet, we found bright university students responding to this simple approach. Ten students prayed to receive Christ with my brother-in-law alone in two days, including twin athletes! The message of the cross has always looked foolish to the world, and yet it is “the power of God that brings salvation to everyone who believes” (Romans 1:16 NIV). Despite the Apostle Paul’s vast knowledge and religious education, he refused to use clever arguments. He preached Christ crucified (1 Cor. 1:23). Someone said, before you talk to people about God, talk to God about them. The Bible reminds us not to quarrel but gently instruct and give the Holy Spirit room to work (2 Tim. 2:24-26). We can’t control the soil of a person’s heart, but we can ask God to soften the hearts of our loved ones. Pray in faith, knowing God wants them to know Him (2 Pet. 3:9). Pray for divine appointments and boldness to walk through open doors. Some of us plant, some water, but God makes things grow (1 Cor. 3:5-8). For in the gospel the righteousness of God is revealed—a righteousness that is by faith from first to last, just as it is written: ‘The righteous will live by faith’” (Rom. 1:17 NIV). Question: What hindrances have kept you from sharing Christ when you wanted to? Here are some resources for those who wish to dig deeper into the defense of our faith. This is just wonderful! What a simple, non-confrontational way to present the Gospel at this time of year. I just love the tools you shared – thank you Debbie! Ann, when my son and I asked people if they wanted to take the survey, I was amazed how people found the questions so intriguing. A good reminder that people are interested in spiritual truths and don’t know these things that we take for granted. These are great tools, Debbie! Very practical for those of us who want to share, but always clam up. Thank you for putting them on my radar! You’re welcome. Thank you, Alyson! I want to do better at this, so thank you for putting tools in my hands, Debbie! I want to do better too, Michele. It was a good shot in the arm to participate with this ministry. Great thoughts. I think sometimes I am hindered about sharing Christ because I don’t want to come across as “preaching” to them, but the asking of open ended questions is a good way to let them talk and me listen and will help me determine the best approach. Also, I love before talking to them about God, talk to God about them. Ultimately it’s the work of the Holy Spirit in their heart, so you definitely need Him in the equation. Thank you, Bev. And to you too! 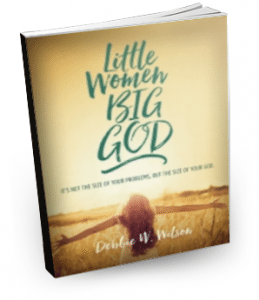 Thank you, Debbie, for such wonderful tools for the important privilege of sharing Christ. Thank you, Jeannie. I enjoyed being able to use them. I hope to be more aware and sensitive to opportunities. 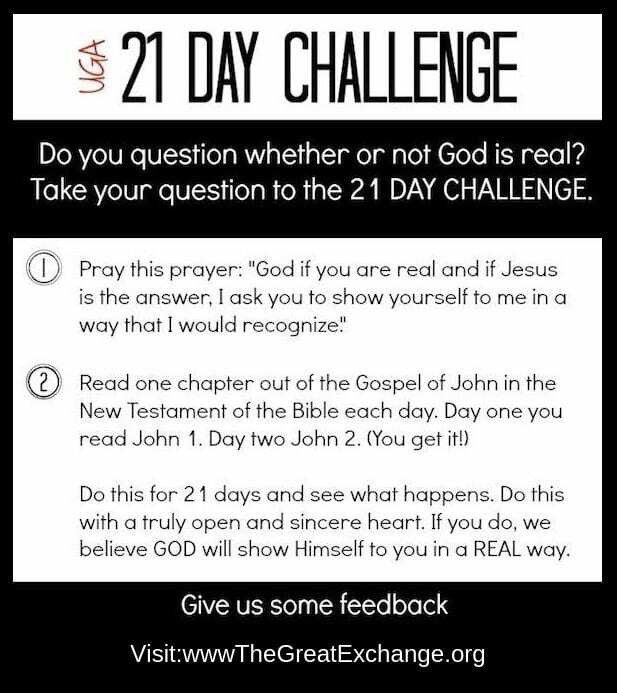 I love the question, “If you could know God personally, would you like to?” as a lead into having a discussion about God. Great Tips! K.A., I do too. A simple way to discover a person’s interest. Thanks for reading. Keep it simple. That is what Pail said he did in the letter to the Romans. I like that, Loretta! Thanks. When I think about the reasons I don’t always share the good news of Jesus with others–it’s probably fear of rebuff or making a mistake that sometimes holds me back. 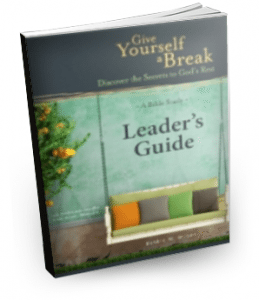 I know that God equips us for service to Him, but that doesn’t always eliminate the fear. I’ve found that being a positive role model and “walking the walk” helps me a great deal. Showing, rather than telling, can be a powerful message of sharing God’s love. After being a teacher for 40 years, 20 of those at the college level, I agree with you that simple is till the best method of teaching important messages. Katherine, that is wonderful to hear from a college professor. We can be duped into thinking we don’t have anything to say if we don’t know more. And there is always more to know!